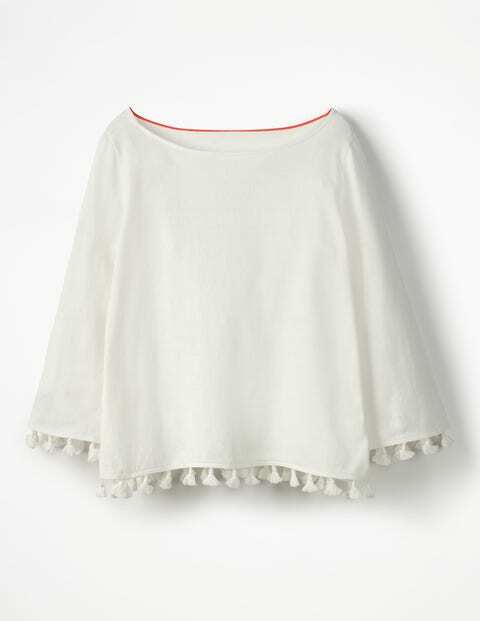 Have you been searching high and low for that perfect boho top? Take a look at this little masterpiece. Complete with tassels on the hem and cuffs, this effortlessly chic design features a relaxed boxy cut and three-quarter-length sleeves. It's just the thing for everything from your summer holiday to the unpredictable British weather.